At SD Kitchens our commitment to service is our priority. You'll be amazed by our ability to achieve a smooth & timely installation - because we're skilled in every phase of the process from demolition to the installation of the cabinets, countertops and appliances. From start to finish, design to installation, your experience with SD Kitchens will be positive and fulfilling. Our thousands of satisfied clients, including your family, friends, and neighbors, are proof that SD Kitchens is your best choice. 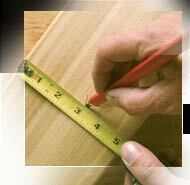 Let SD Kitchens professional team help you realize your kitchen or bathroom of distinction. Browse through our photo gallery to see how seamlessly our kitchens and bathrooms come together.